Taking risks in life is a hard thing to do. It's so simple to stay in your comfort zone and become content with what you have. I am not one of those people though. I'm constantly dreaming and thinking of what I can do next, what I can achieve tomorrow and how I can make a difference. Some days I'm less inspired than others, but when I went to The Shard, I found the inspiration I needed. The story behind Elizabeth Arden just fascinated me. Back in 1910 (when women weren't even aloud to vote), Florence Nightingale Graham decided to leave her hometown in Canada and move to New York to launch herself and a beauty brand - Elizabeth Arden. She managed to get a $6000 loan from the bank and opened her first, THE first, Red Door Salon. She opened the first spa in America, innovated scientific skincare formulas and also was the first to introduce eye makeup and produce travel-sized beauty products. Her list of achievements are endless, and in 2016 her brand is still ever-evolving. The first Elizabeth Arden Red Door Experience, has just opened in Oxford Street's Debenhams and it's absolutely incredible - worth a pit-stop if you're nearby! Her quote is one that I think we should all live by: "Go out and make your mark today." So, no matter what your goals are in life; set them, work hard and do everything you can to achieve them - because anything is possible. You never know what legacy you may leave - Florence Nightingale Graham, I take my hat off to you. 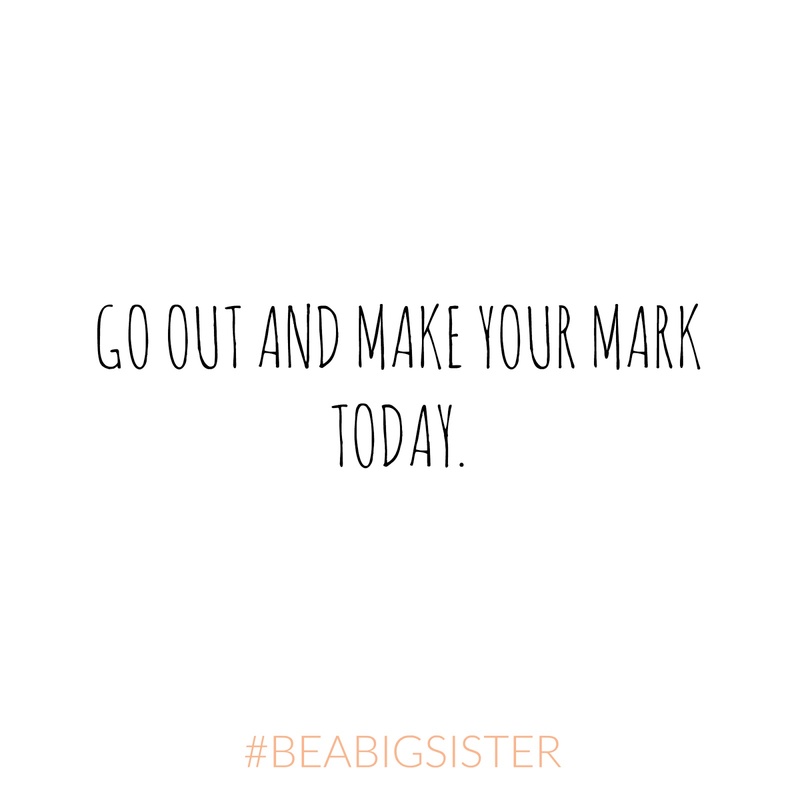 Share your favourite quotes to inspire others using my hashtag #BEABIGSISTER.